Pickaquoy Road in Kirkwall this morning. Police in Orkney say that heavy rain has caused localised flooding in some areas. Police said that motorists should keep alert for other road users, and be mindful of surface water. 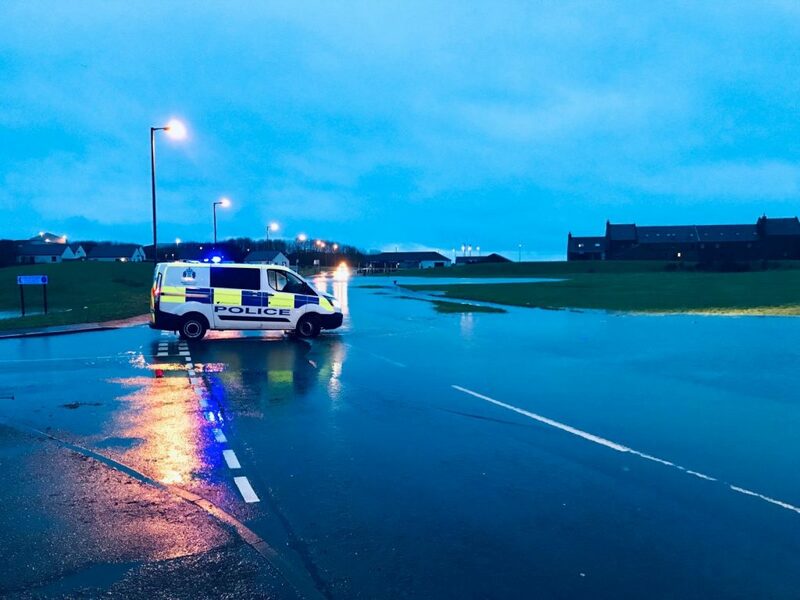 In Kirkwall, police this morning reported two partial road closures, Grainshore Road and PIckaquoy Road. OIC roads and police are working to clear the water. Next Post>Scottish Government – Worried About Money?